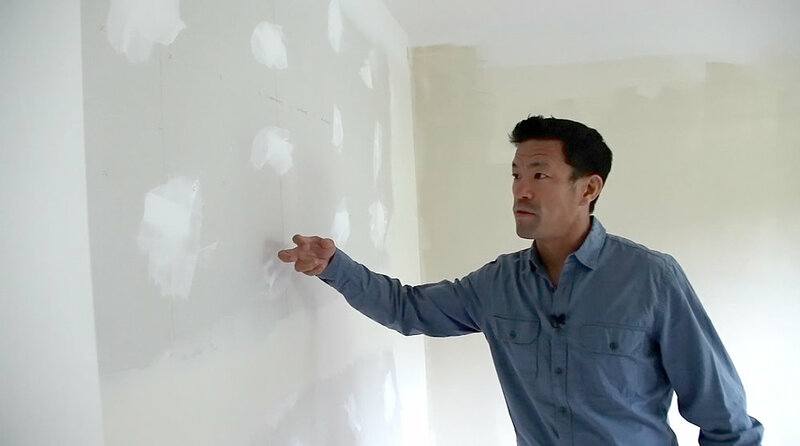 Like the first property I showcased in our video series “Gloom to Bloom”, our goal was to transform the home and attract the a larger pool of buyers. We started off quickly by painting all the cabinetry and interior walls, installing flooring, and building a wall in one of the bedrooms to better define the space. We touched up the front door and walkway, and prepared for landscaping to come in and dramatically change the back yard and take advantage of that incredible view. The kitchen undergoing a new paint job. Brand new bedroom wall installed. Phase two began with the immense transformation of the view from the back of the house. The landscaper came to remove the junipers, plant rows of fresh flowers and new mulch. To make things challenging, the usually temperate Silicon Valley weather gave us a rare heat wave. The solution was for me to pick up a hose and water the plants myself over the weekend. Watering the plants after a heatwave. One real estate tip is to pull off all the window and door screens. It really brightens up the house, and gave an unobscured look out to our panoramic views. Removing window screens to let light in. With all the interior work finished, it was time for the stagers to come in. Stagers play a large role in making the photography stand out, but also staging allows a buyer to build an emotional bond with the home by seeing the potential of building a new life for themselves inside. Stagers coming in to place furniture in the home. After seeing what the stagers had done to the house, I was amazed. It had really come together and felt like home. With the house ready to go on market, we went into the final stages with photography, producing copy and marketing assets, and holding open houses. In less than a week of going on market, I had property into contract with multiple competitive offers. When a client entrusts me with the sale of his home, they can be sure that I will take care of every aspect of the sale from start to finish. It's one of my favorite parts of my job to see a home transformed like this, the sellers always comment that they want to move back in! If you have questions about selling your Silicon Valley home, let’s talk.